Women’s tailed track jacket from high-fashion sportswear brand, Y-3. 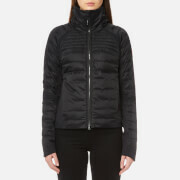 Cut from pure, breathable cotton, the black jacket features a funnel neck, side slip pockets and wide ribbed detail at the collar, cuffs and hem. The structure boasts an asymmetrical design with an elongated tail to the rear. 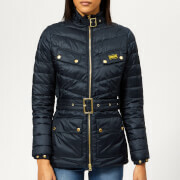 Fastening with a central zip closure, the jacket is completed with a signature logo badge. I love Y-3 clothing. And Coggles has a great choice. I really like there choice in clothing and footwear. Fast delivery.